Non-Use Policy: Tenants who are licensed with the kitchen but not using the space will be billed $40 a month for any month where no membership fee or usage occurs. Non-Cooking Discount: Tenants who use only water and waste disposal or prep tables with no gas or electrical equipment are given a 10% discount on their membership fee and hours. Reservation Policy: Your reservation includes all setup and cleanup time. Please make sure to give yourself enough time within your reservation to properly clean the areas and equipment you used for the next person. Reservations are always first-come, first-served with Anchor Tenants and Medium Tenants receiving preferred access. Reserve space as soon as you know you will need it, up to 60 days in advance. There is no guarantee that the kitchen will be available for drop-in, last-minute use. 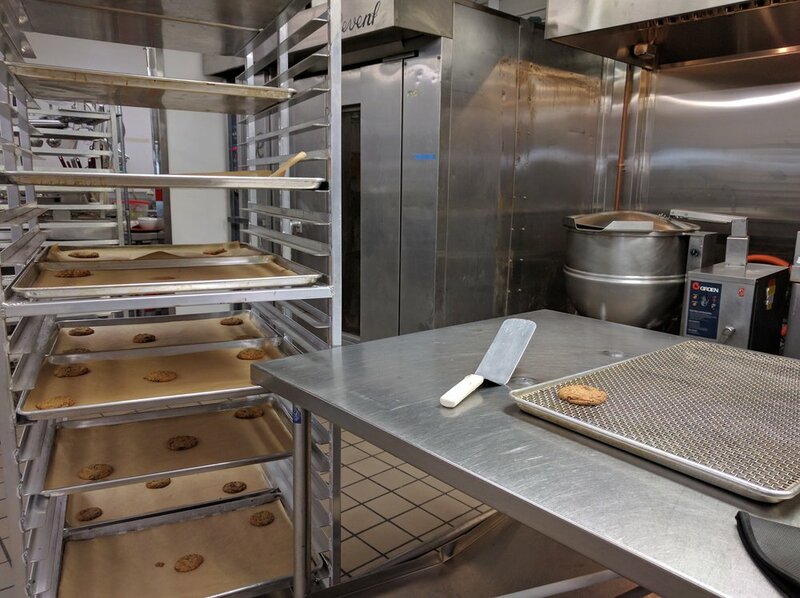 Cancellation Policy: You are required to be at the kitchen and present within thirty (30) minutes of your reservation or you will forfeit the time in the event another tenant drops in and wants to use the space or equipment you reserved. We reserve the right to apply a cancellation charge for tenants with frequent cancellations. A reservation cancelled with less than one week’s notice may be charged a percentage of the reserved hours. Sample charges are as follows: 50% of hourly cost for third cancellation, 75% of hourly cost for fourth cancellation, and 100% for any cancellations over five in a six month period. Billing Policy: Tenants pay for their membership level and storage at the start of each month. Additional storage or hourly charges used after membership fees are paid will be added at the end of each month and invoiced with the upcoming month’s rate. Invoices are distributed the last week of the month and payment is due within two weeks.